Bolton, United Kingdom – Solids handling specialist, Ajax Equipment, has supplied leading European pre-fried and frozen potato product producer, Agristo, with two continuous mixers featuring an enhanced mirror polish finish. The stainless steel Ajax machines will be used to mix grated potato with various additives including flavourings to produce a range of potato products. Ajax mixers for production of potato products at Agristo. 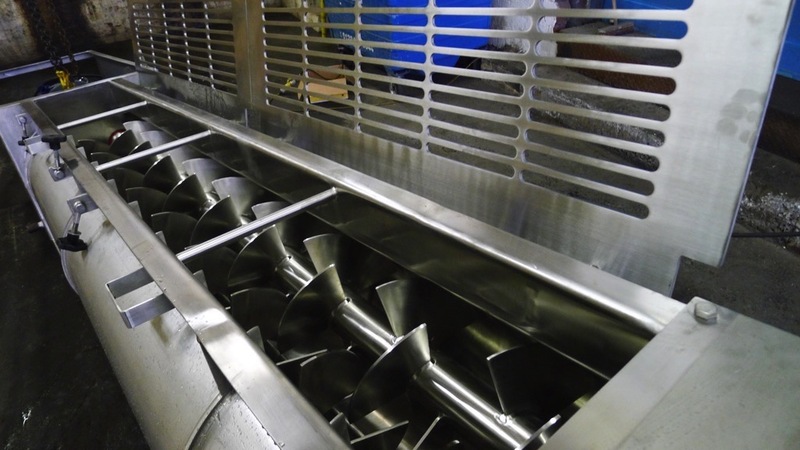 The 4 meter long twin screw mixers include profiled covers as part of a design ensuring there are no areas of the machines that are awkward to clean. The casing’s hygienic, crack and crevice free finish ensure the continuous mixers meet the strict hygiene standards for food manufacture. The mixers also feature Ajax’s paddle screw geometry which provides efficient though gentle mixing with negligible damage to ingredients.